I've never played Dungeons & Dragons or Advanced Dungeons & Dragons. My roommates in college played the game, but they were advanced players and not interested in having some newbie like me join their campaigns. However, they were totally fine with me joining some other RPGs (role playing games) like Star Wars, Vampire, and Robotech. I really wanted to play D&D or AD&D because I wanted to go up against the Warduke. 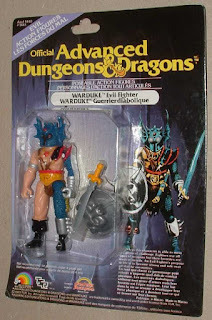 It might have been Christmas 1983 when I received the Warduke action figure, which was one of the 'evil' characters from the Advanced Dungeons & Dragons toy line from LJN. I have no recollection of who the gift was from, but it was a totally awesome action figure. I was doing the RPG thing at the time but I watching the Dungeons & Dragons cartoon which was pretty cool. The action figure was - and still is - incredibly cool. The helmet is awesome and I love that you can not see the face but a couple of red glowing eyes. Another impressive detail in my opinion is that the guy wears one half of a chainmail type of armor while the other part of his body is totally exposed. 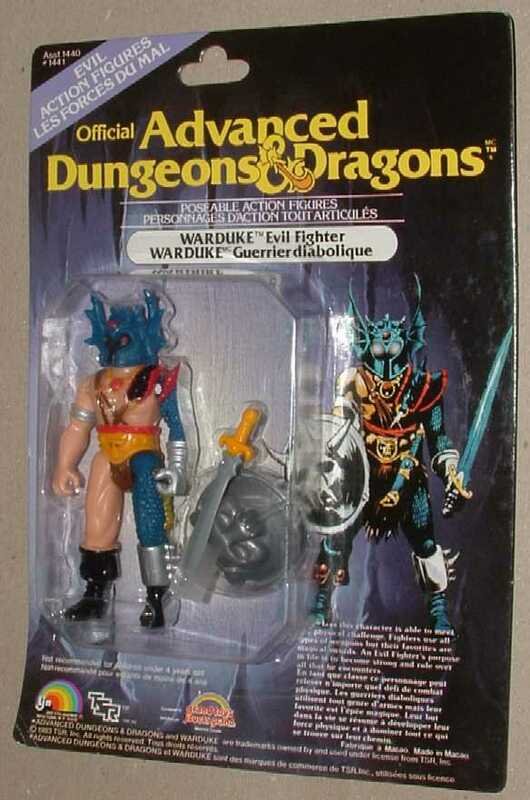 The Warduke action figure came equipped with a sword and a shield. Warduke was used to battle action figures from my Star Wars, G.I. Joe, and Masters of the Universe collection. 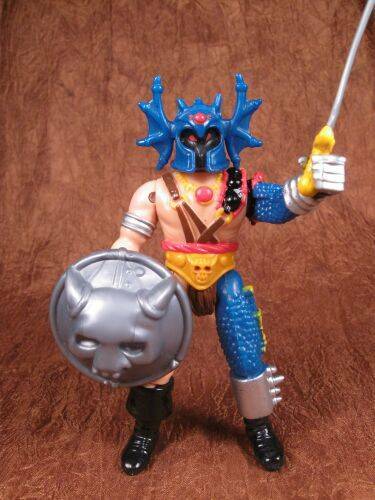 I have no idea what happened to him, but I'm 95% certain Warduke met a certain fate during my parents infamous 1989 garage sale. Many action figures and comics of value were sold for $.25 a piece. TonyDoug Wright is the owner and head writer at Champion City Comics. His comics include Dr Death vs The Zombie, Day 165, and The Red Devil.